The whole coffee and beer thing isn’t new, but that doesn’t make it any less enjoyable. Particularly when you come across something like this. 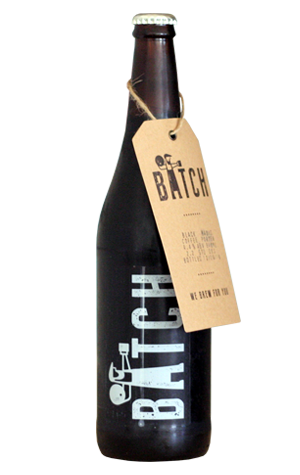 Batch’s Black Magic Coffee Porter is a beer dripping in coffee character. Pop the top off a bottle and the aroma fills the room as if you’re standing at a café chatting with the barista as they work the tamper. The brewers acquired the cold brew from their over-the-road neighbours at the Voodoo Coffee Company who had, in turn, sourced the beans from Papua New Guinea. What they show off are earthy characters topped with rich berries, a slightly nutty character, a touch of roast and a gently sweet finish. A lot of malt went into this beer too – at least, a lot of different kinds – but the body is not robust, nor is it thin. It just does what it’s required to do in order to let the coffee shine. And it’s only 4.4 percent ABV. There are actual coffees you’ll have had that show less coffee character than this. You can’t help but think it’d make an attractive alternative to iced coffee – or perhaps served with a scoop of ice cream.